The constellation of Cancer is situated in the northern celestial hemisphere. It is being composed of relatively small stars, the brightest of which are of third magnitude. Thus, very few of the stars of the Cancer constellation are visible to the naked eye and consequently, in the ancient times Cancer has been given the name dark sign. This sign is dominant from June 22nd up to and including July 23rd. this constellation with the form and shape of the crab, although nowadays it is not that obvious. The earliest illustration of this sign is most like the Egyptian Scarab. This is the sy mbol which has been used as a token of resurrection for over 3000 years B.C.. Symbolically, this sign also marked the resurrection of the Earth from the Flood which ended in the preceding Zodiacal sign of Gemini. The Scarab is sometimes shown situated in the centre of the Crab’s back, which has a strong significance of the new world bearing its symbol of eternity. Ancient Mythology speaks of the constellation of Cancer as being formed by a Crab placed in the heavens by the goddess Juno. Juno was the Roman Queen of the Gods, and she is the Roman counterpart of goddess Hera, the Queen of the Greek Gods. Juno(Hera) put the Crab in the sky as a reward for its courageous sacrifice in her service, during the attack on Hercules. Cancer represents the Zodiac House of the Moon, and is therefore under strong influence of this planet. Cancer is also the first watery in the Horoscope and because of that it is given authority over the Ocean. People born under the sign of Cancer possess receptive and plastic natures. They are able to reflect their environment to a certain degree, in the similar way the sea reflects the sky. Even though they are easily impressed or influence, the persistence of Cancer is remarkable. They need a small incentive to go into action. Their tenacity will keep them on course, but due to their wide array of positive and negative mood changes, they might let the opportunity slips away, just when success in within grasp. Cancer personalities appreciate pleasant or agreeable company, but can be equally happy if left alone. One thing every Cancer seems to oppose is having their plans or arrangements made for them. This Zodiac sign is very much interested in the domestic side of life and is a representation of what home life and family should be. They feel the ties and duties of family life more intensely than the other signs. To them, the old friendships or associations are almost held sacred. Cancer is extremely sensitive sign. Children are especially susceptible to the emotional and mental conditions of other, and can be seriously affected if forced to be around disharmonious people. Strongly imaginative and reserved, Cancer can be suspicious, over-anxious, and exacting at times. People born in this Zodiac sign have a tendency to experience all types of sensations. Sometimes this can lead to obsessions, and because they can develop their instinctive and intuition faculties to the extreme, they may even become prone to delusions. If, however, their character is properly developed, due to their natural persistence, they will develop strong will which coupled with their keen intellects and strong intuition can lead them to great success. Due to their intuitive thinking and developed sensitivity for the spiritual worlds, they can be followers of various spiritual, mystic and occult teachings. Cancer has given the humanity a number of great composers and writers. 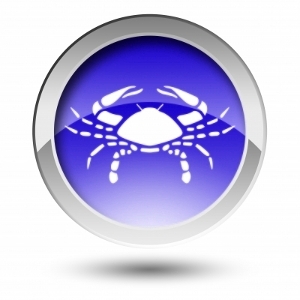 More often than not, the work of Cancer is compulsive, but strong and energetic. When the motivation is there and their mood is high, they will be able to work using their full capacity. The best occupation for cancer are: authors, musicians, politicians and artists. If they are connected to the sea, they can be very successful sailors or officers. They will be most in harmony with people born under the Zodiac sign of Virgo, Scorpio, Taurus and Pisces. Moonstone, Pearl and Ruby – according to the modern birthstones chart. 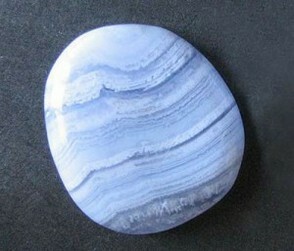 Cat’s Eye and Turquoise – according to the traditional birthstones chart. Aventurine – according to the mystical and spiritual birthstones chart.